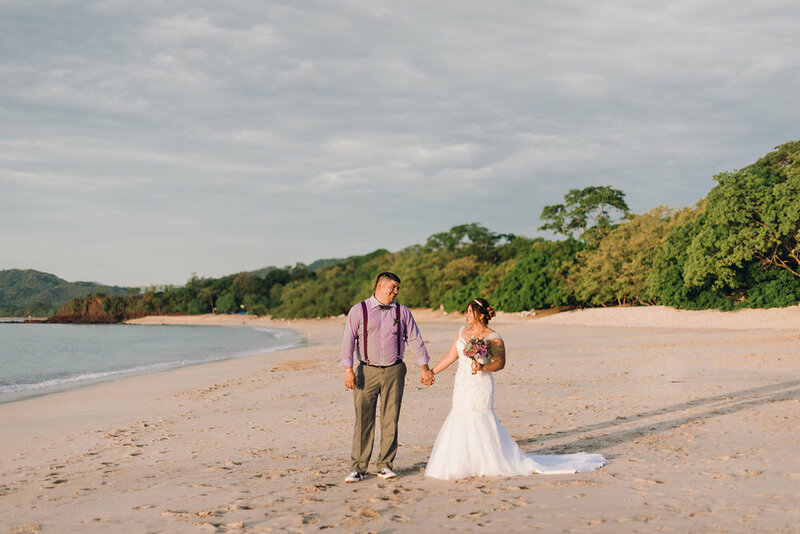 When Amy and AJ we decided on a destination wedding, they knew immediately that Costa Rica was the best choice – a beautiful country that they both fell in love with after their first visit. 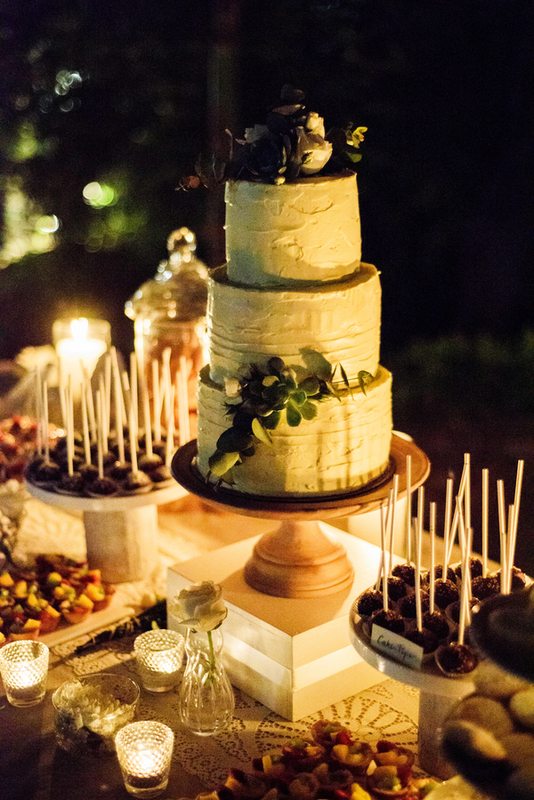 The wedding was rustic chic, full of white shades and leafy greens, neutrals, and natural wood. It was a night of epic party. 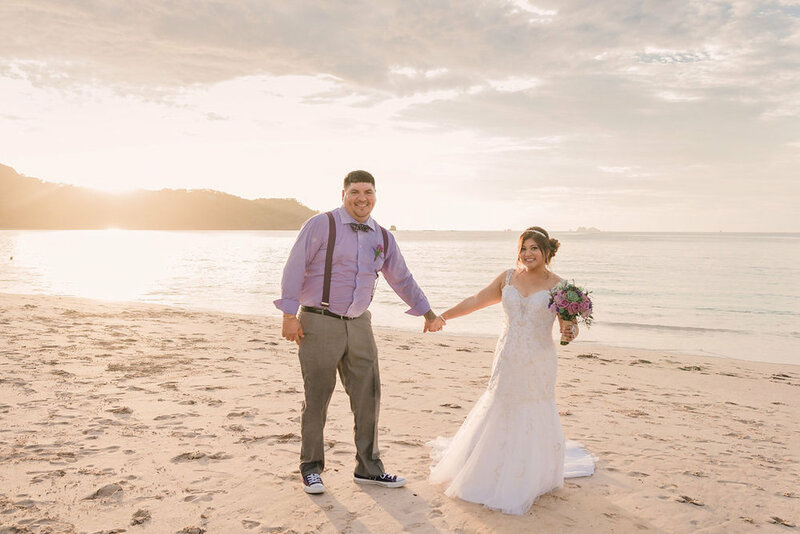 Mikey and Christina were married in August 2016 at the Westin Playa Conchal in Costa Rica. 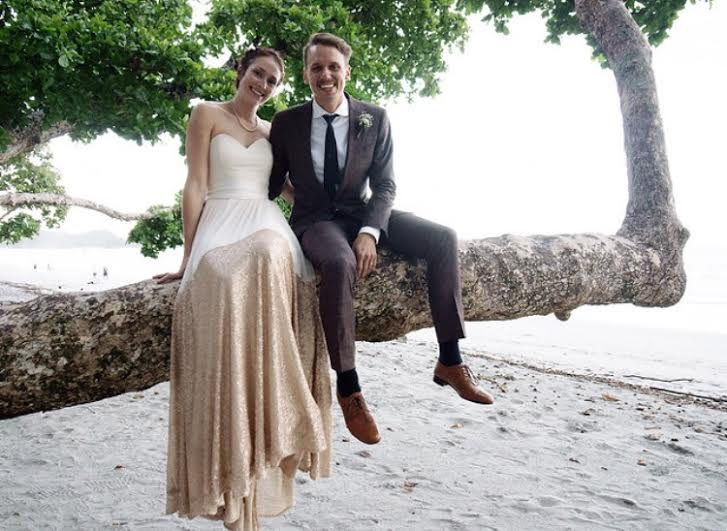 The bride chose a purple ombre motif with natural wood and gold accents. 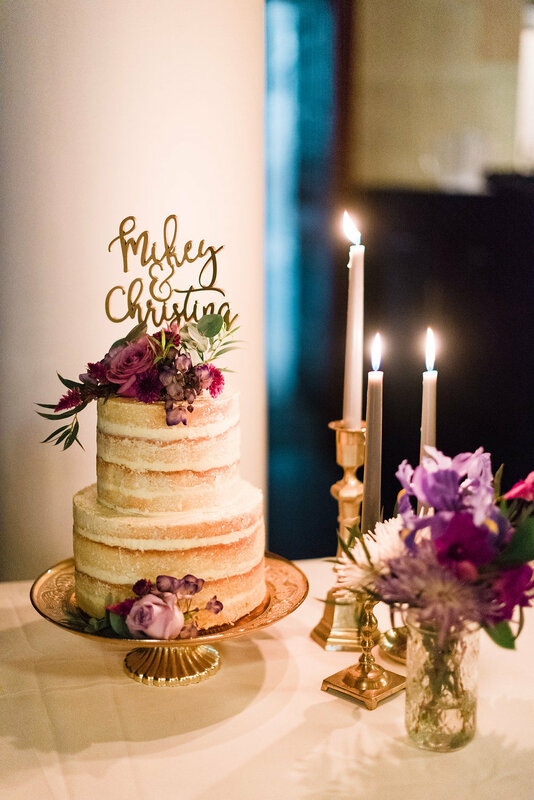 The range of lavender to violet colors were used in every part of her wedding from her bouquets to her wedding paper. Wildblumen Ink used a purple ombre watermark and a grouping of purple ombre watermark stripes to bring all the details together. 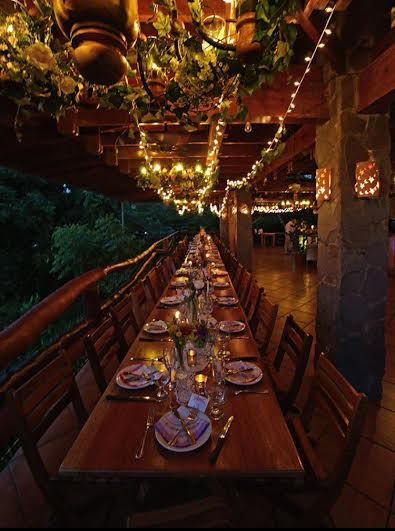 You can see the art and design in the welcome sheet, table numbers, place cards, menus and wedding signs. "When I needed a hand, I found a paw." 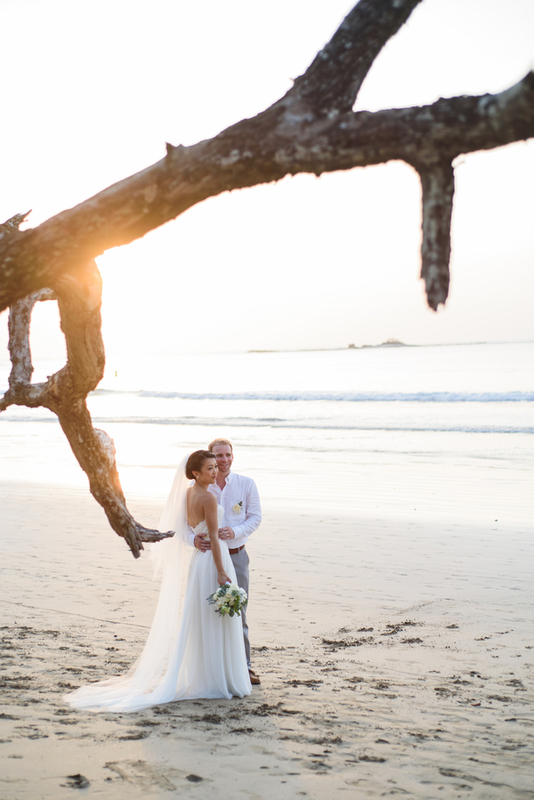 Terra and James were married in Manuel Antonio, Costa Rica. 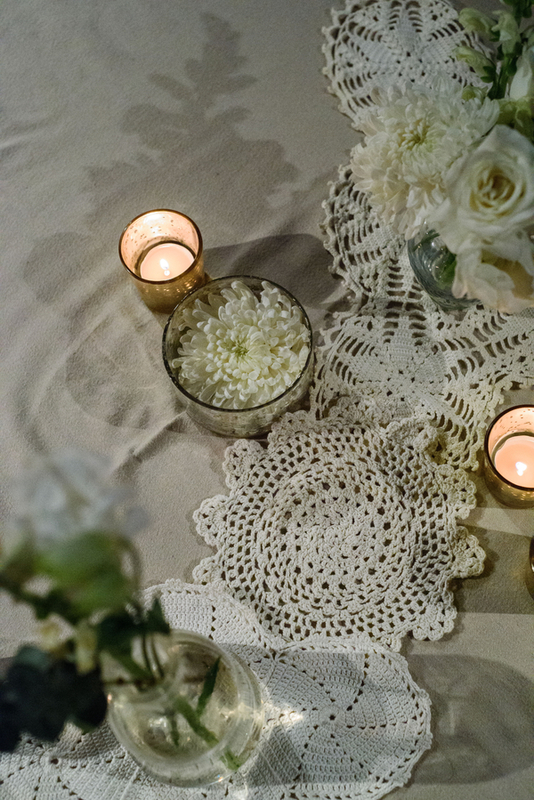 The bohemian chic wedding was absolutely gorgeous with lots of colorful wildflowers, vintage handkerchiefs and crystal, milk glass AND THE DRESS.....stunning!!!! 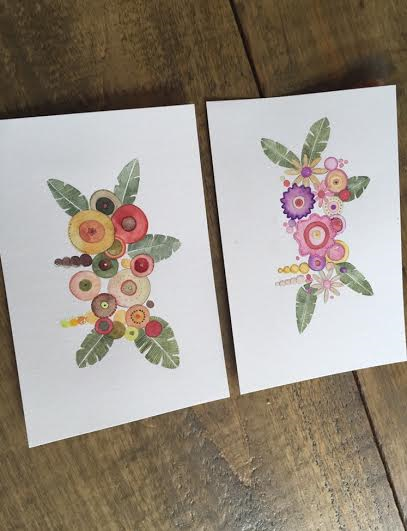 I created a flower watercolor to match the wedding invitations. 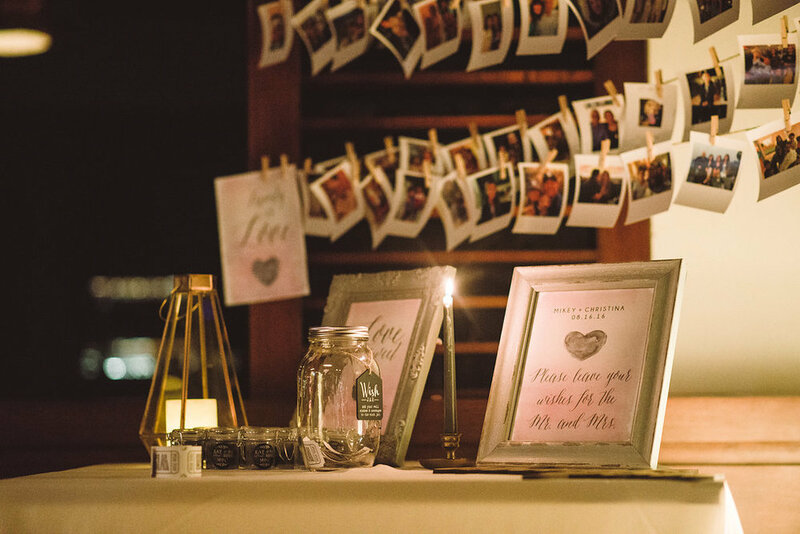 The custom watercolors were used for wedding signage, place cards and personalized stationery for the guests. 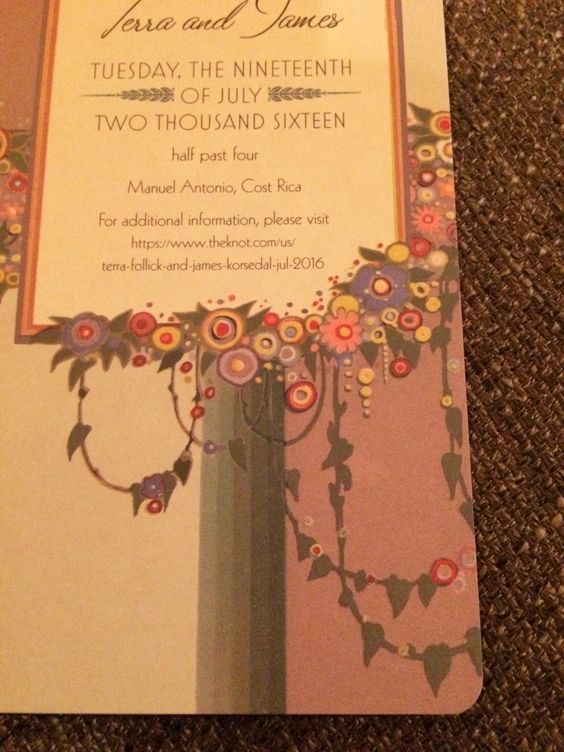 The bride wanted to mirror the colors of the invitation for the female guests and the groom wanted a more masculine touch using colors of the Costa Rican rain forest. 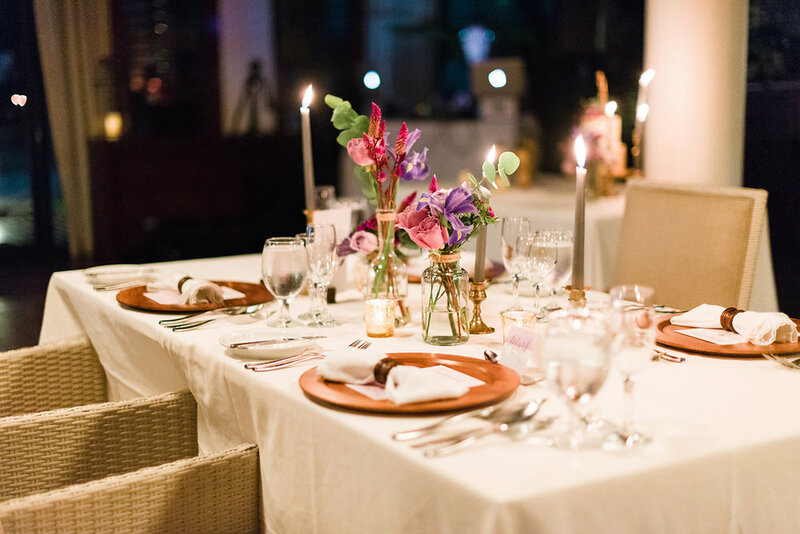 This wedding was full of rich colors: deep red, dark green, amber gold and ivory, beautiful vintage glassware and local Costa Rican flowers. 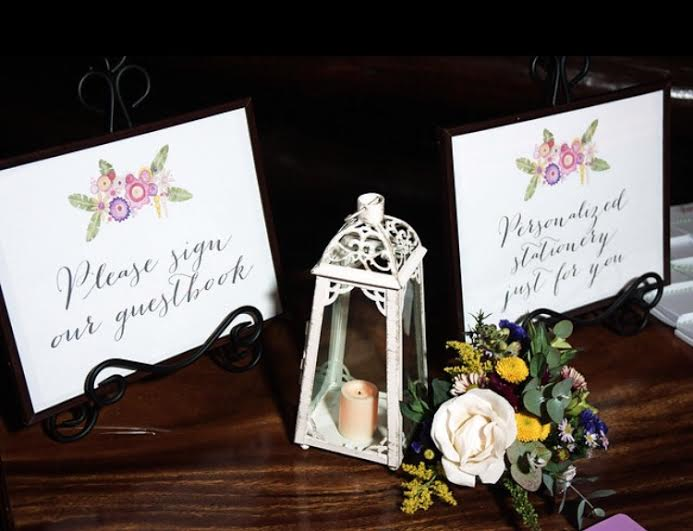 Angie asked Wildblumen Ink to create the menus with a watercolor flower design, watercolor leaf tag for the wedding maraca shakers, "warm wishes for the couple" postcards and the welcome home fiesta party invitations. 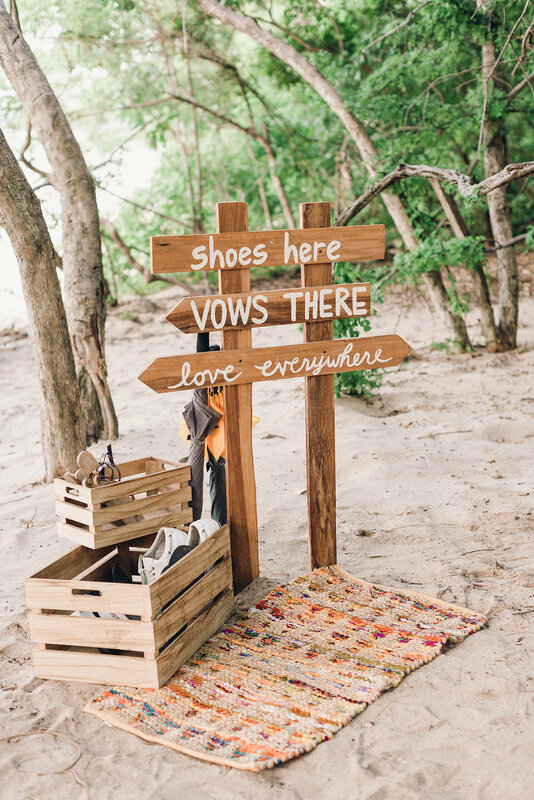 Tara and Josh's wedding was a classic beach wedding. 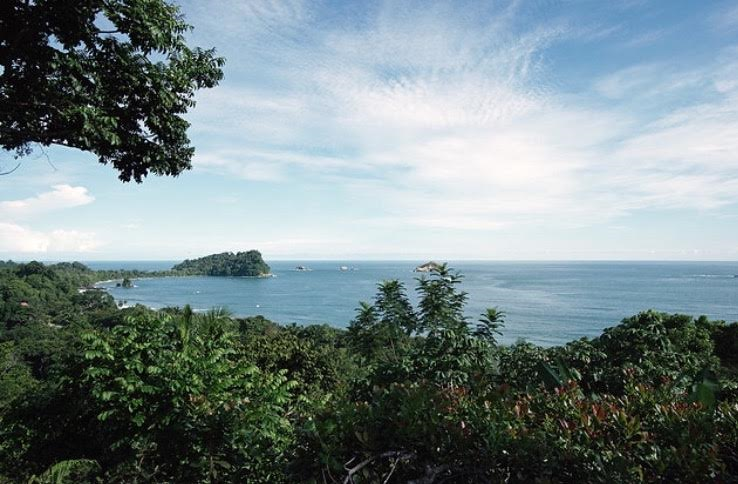 Corals and blues blended right into the background of the beautiful Costa Rican scenery. 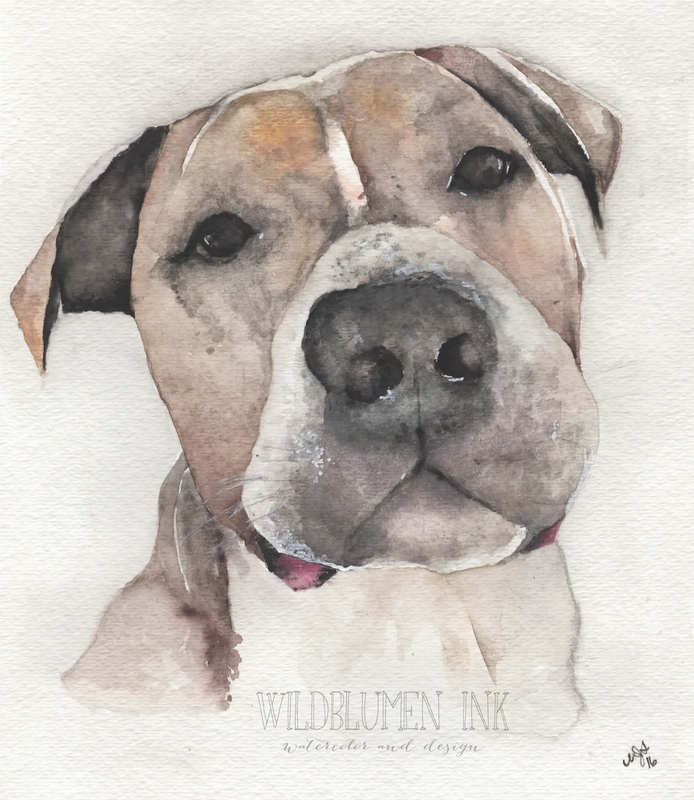 Wildblumen Ink created custom portraits for the bride and the groom and were featured on the fan programs. 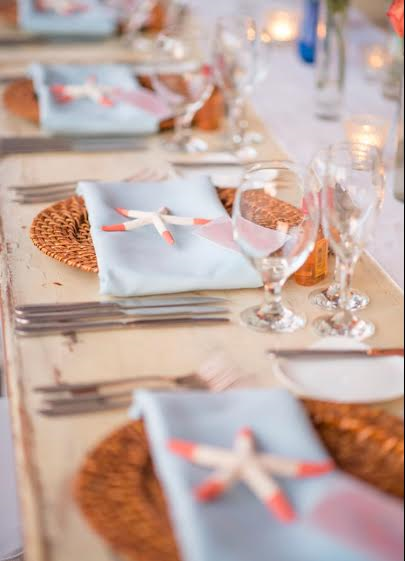 I also created a pink and coral watercolor watermark that was used on place cards and signage. 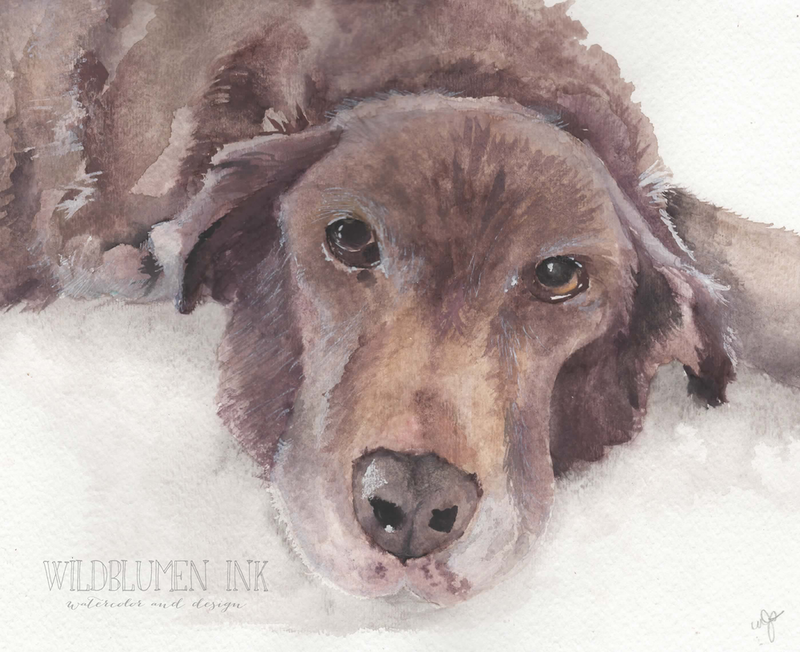 Double click on the gallery to look through recent Wildblumen Ink watercolor house portraits. I had the privilege of creating several Father's Day gifts this year....Here are my favorites. A vintage family heirloom, a cardinal and quote (reminder of a very special dad) and a custom family portrait. 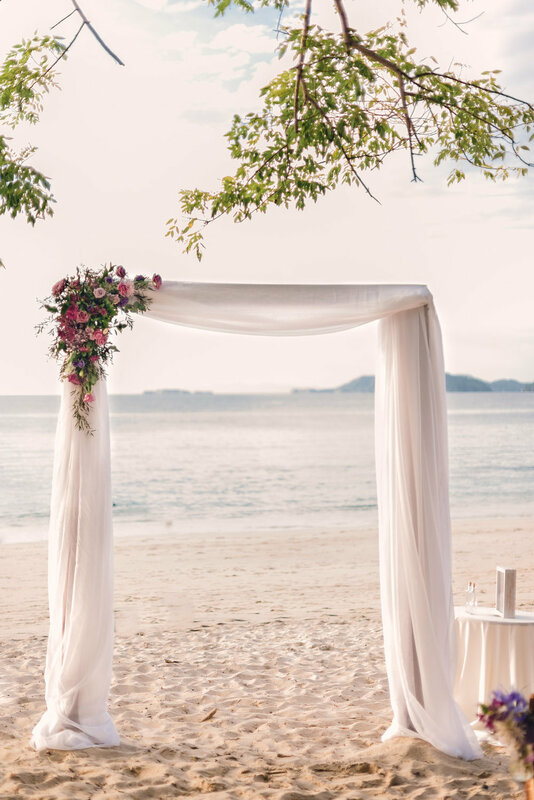 Nicki and Darren were married in Costa Rica at the beautiful Langosta Beach Club. 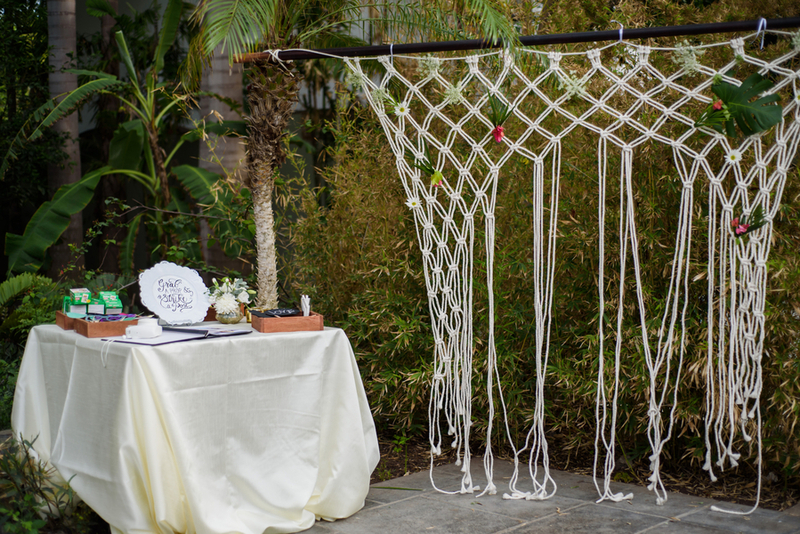 The details of this celebration of love were beautifully put together by the Mil Besos Costa Rica Planning and Design Team. 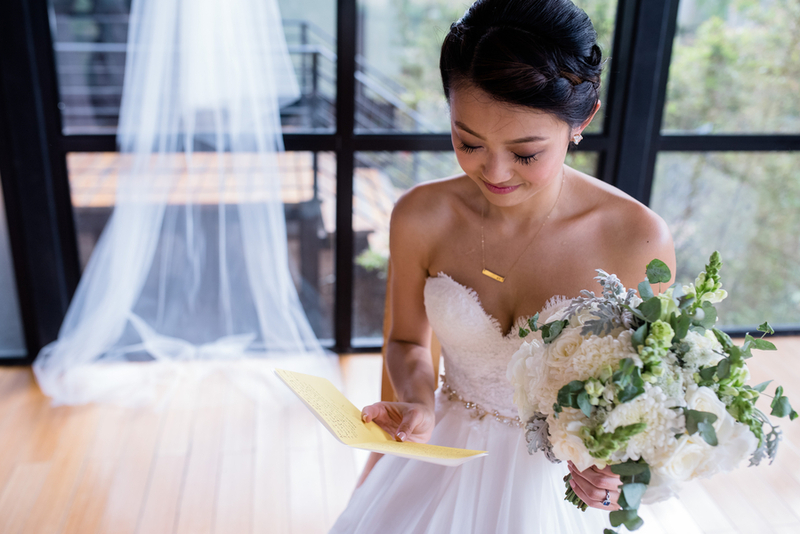 Succulents, brushed gold laser-cut place cards, fresh florals and personalized paper décor made this wedding one-of-a-kind. 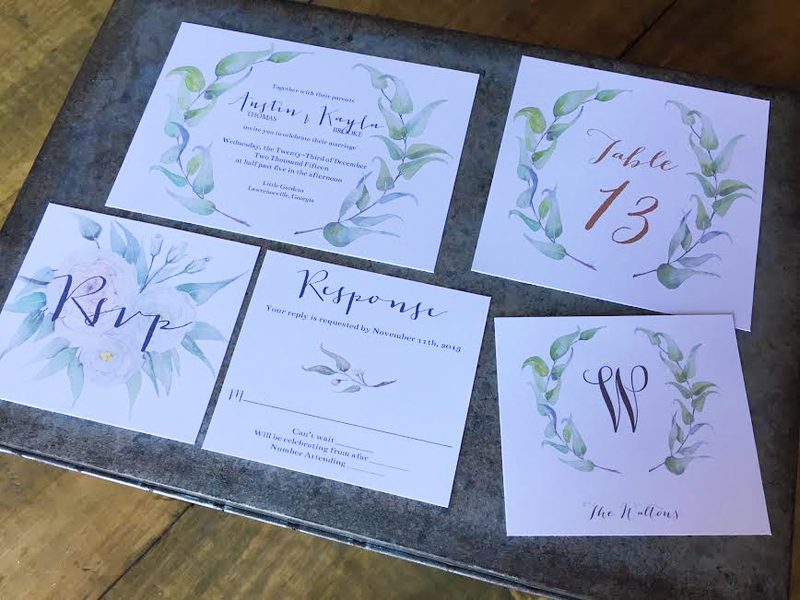 Wildblumen Ink created the watercolor succulent straw place cards and the custom watermark menus. Christmas Time is almost here! 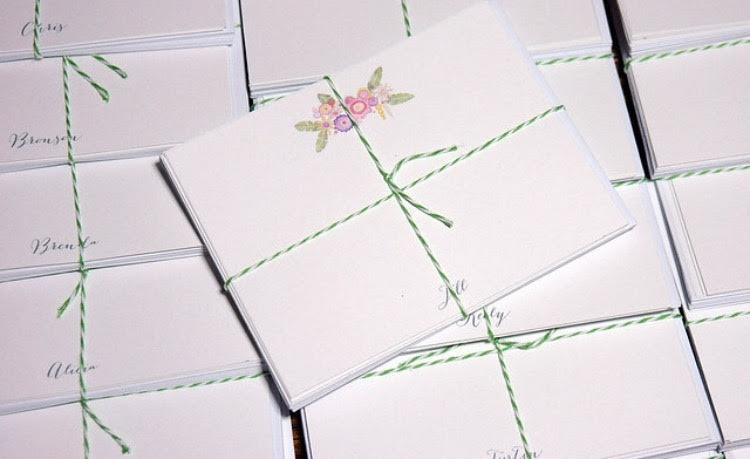 Please check out my Etsy.com site to order my New Watercolor Christmas Cards personalized Stationery sets. They come in sets of 10 for only $15.00. 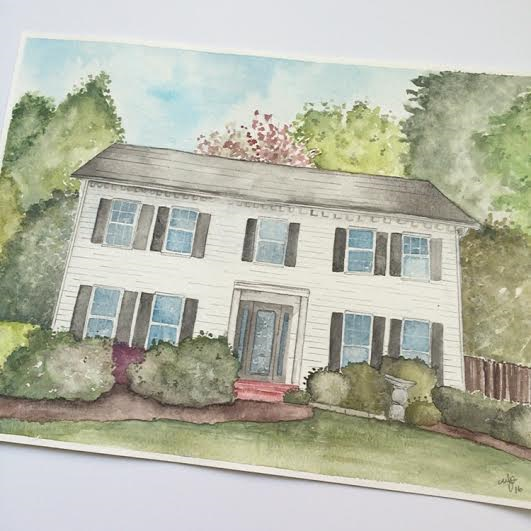 I also can create custom Christmas cards or personalized thank you notes. Always a great gift for a friend, loved one or yourself. 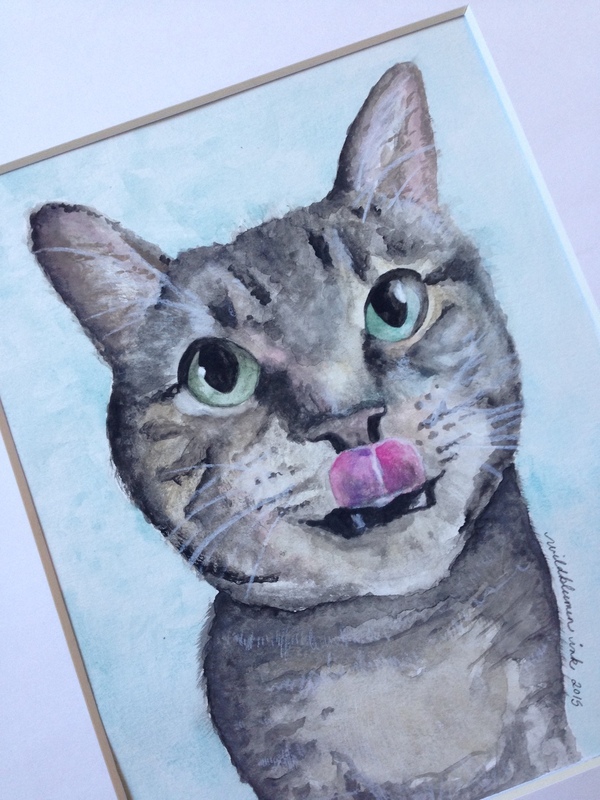 Here is the link to my shop. 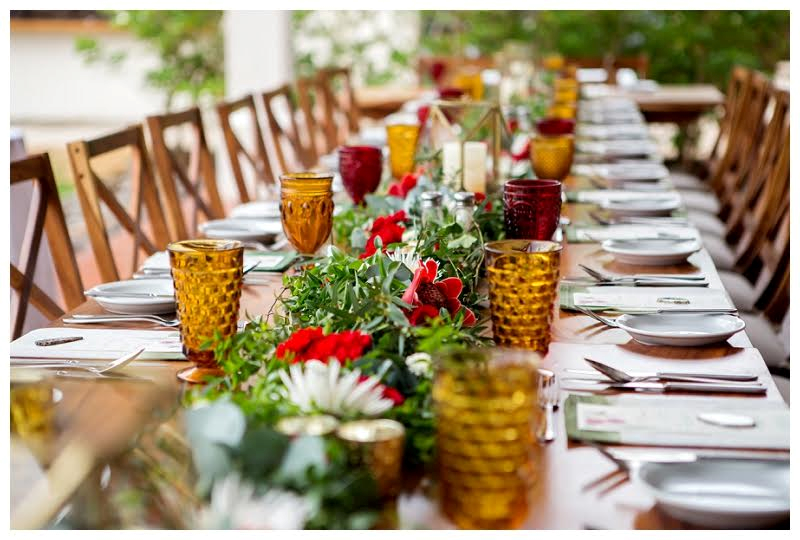 PS - Scroll the gallery pictures to see the variety of Christmas cards. I wanted to give my photographer (Brittany Burtch) mad props for my website's photos. Her company is called Angel Kisses Photography and she specializes in kids, family and engagement pictures. She is a good girlfriend from high school and has shot several different sessions for me and my daughter. Brittany is easy to work with and she makes you feel comfortable during the photography sessions. Please check her out at www.angelkissesphotography.com or on Facebook at www.facebook.com/AngelKissesPhotography!! 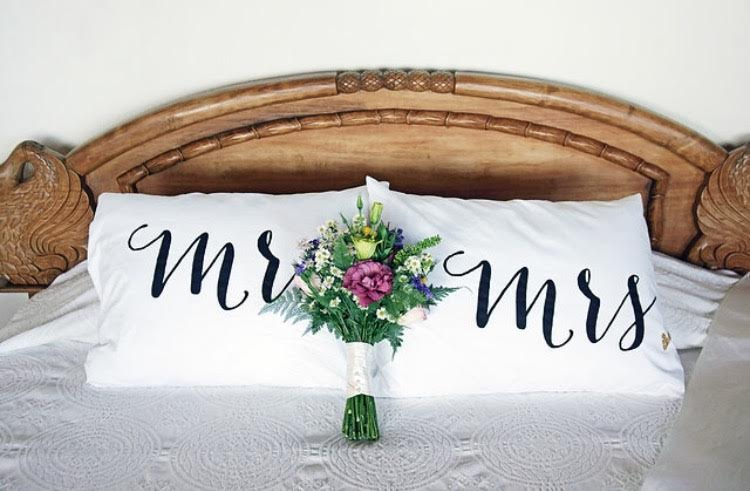 I absolutely love my friends and my friends and I love to shower our expectant friends with lots of love and gifts. Kelly's shower was no different this past weekend in Birmingham, Alabama. She is having a boy this October and his name is John "Jack" Monroe Murphree. His father is a "seer" sucker for bow ties and his mommy enjoys her shopping trips to Kate Spade, so the hostesses and I thought...why not have a preppy bow tie couples shower for the mom and dad to be. I created 4 different bow ties and used them for different decorations. The color theme was navy, emerald green, teal and aqua. Jessica, a graphic designer and one of the hostesses, took my watercolor bow ties and created an adorable invitation. We also used the watercolors to make cupcake toppers and added a special detail to the straws. 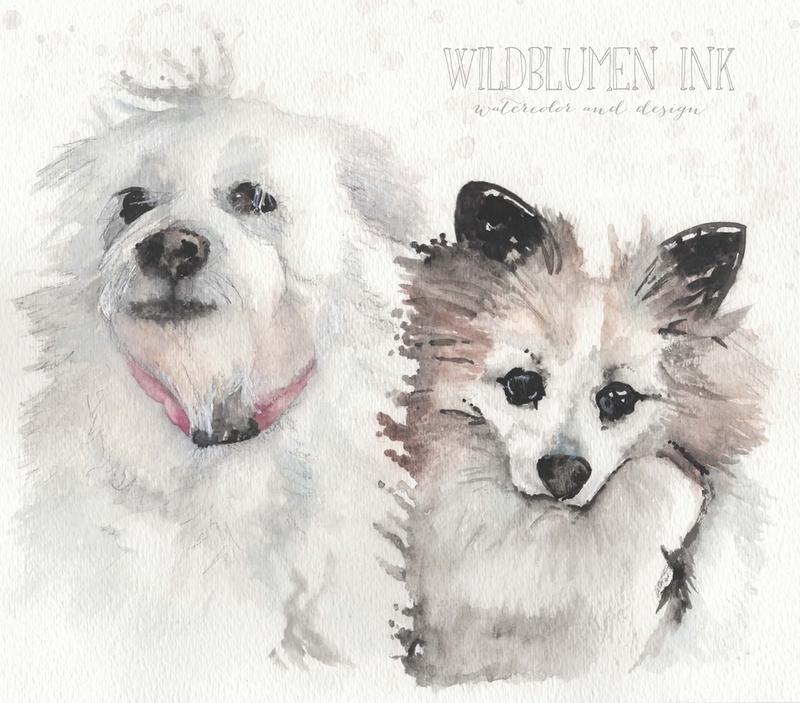 Happy 1st year anniversary to Wildblumen Ink!! MAKE NEW FRIENDS, KEEP THE OLD, ONE IS SILVER AND THE OTHER ONE GOLD. I can't believe it has been a entire year since I have started this adventure. I have had some crazy ups and downs emotionally, but thanks to all my friends and family I have stayed constantly busy. I hope this year brings even more opportunities and more time to devote to my love of painting and creating special pieces for special people. Thank you for always believing in me. You will always be my GOLD! !